Nicky Farms is the house brand of Nicky USA featuring a premium line of specialty game meats. 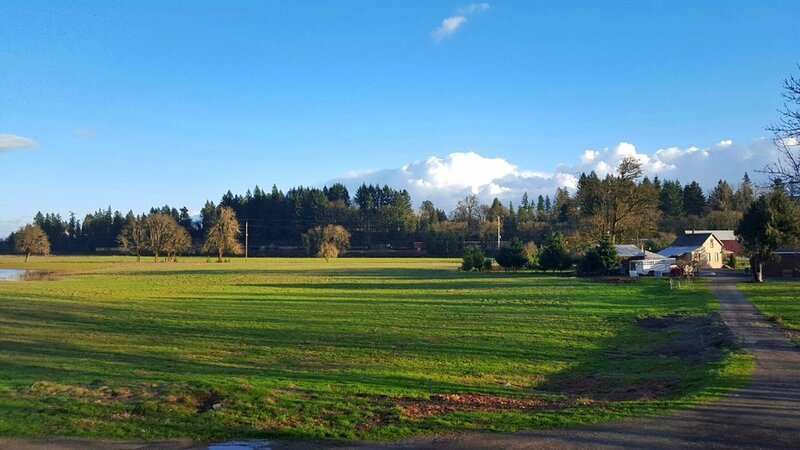 We source our products from our very own farm in Aurora, OR and from independent Northwest ranches & farms, as well as across the USA, and from around the globe to bring the very best meats to our customers. To ensure our high standards for the Nicky Farms brand we are involved in almost every facet of the process, from farmers' husbandry practices to packaging to handling & delivery methods. Nicky Farms products are raised and sourced to meet the highest standards. Our selections include rabbit, partridge, venison, bison, goat, elk, and water buffalo. We also produce a range of specialty sausages including Venison-Blueberry, Water Buffalo Bratwurst, and Elk-Huckleberry, bringing old world craftsmanship together with creative recipes and a passion for innovation. We are always on the lookout to source new products and create new recipes to continually enhance our offerings. Nicky Farms Partridge Skewers made with birds raised on our very own farm. On our 36-acre farm we built a state-of-the-art USDA approved Mobile Processing Unit to ensure that from birth to butchery all of our animals are cared for with the greatest regard for animal welfare. The results are the finest meats available anywhere. The farm is also used as a teaching facility for local youth and as a retreat for visiting chefs to connect directly to the source of the food they serve on their menus. 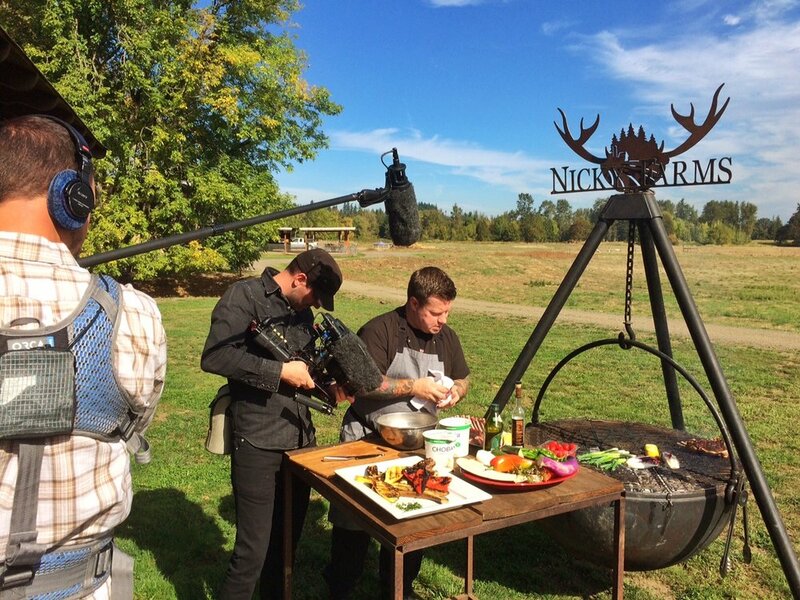 Nicky Farms products are found on the finest restaurant menus and in select retail markets throughout the NW. Just a few generations ago wild game was a large part of the average American diet. Over the years we lost this vital connection to the land, as the move to city living meant relying on increasingly larger factory farms. The choices for meat quickly dwindled to beef, pork, and chicken for most people. Fortunately, there is a renewed and growing interest in wild game birds and meats as an option in the kitchen. Cooks are demanding more choices for a variety of reasons – taste, health, environmental – and are seeking new products to satisfy an expanding and adventurous palate. We believe that game meats are a healthier and tastier choice than large-scale industrially raised meats. Naturally lower in fat and cholesterol, wild and ranch-raised game meats are full of flavor without being “gamey”, as the animals graze stress free and are harvested humanely. Game meats can be used in recipes much like beef, pork, or chicken, and don’t require any special tools, equipment, or cooking techniques. Game meats do tend to be much leaner so care must be taken to not over cook cuts like steaks, burgers, and some roasts. Venison and elk make excellent substitutions for beef or lamb in soups or stews, wild boar will make a ragù with deeper, earthier flavor in place of pork, and rabbit is an excellent choice over chicken for braises. Looking for a different or larger cut? Ask your butcher to special order anything from our full line of game meats. Whether you are making a traditional family favorite recipe or trying a new dish, Nicky Farms products will help elevate your game in the kitchen. Used by top chefs across the Northwest, Nicky Farms products are found on the finest restaurant menus in the region and are now also available for the home chef. Look for Nicky Farms products at these and other fine stores: New Seasons Markets, Metropolitan Markets, World Foods Portland, Chuck's Produce, Flying Fish Company, Fitts Seafood, Ken's Markets, Long's Meat Market, Farm Fresh Market, and select Thriftway markets. We've always been known for our savory side at Nicky USA with our large selection of high quality meats and specialty game. Now we are adding a touch of sweet to our line up. We are thrilled to introduce our Nicky Farms Willamette Valley Farmland honey. Our honey is from hives on our very own farm in Aurora, OR as well as other local farms, and has a well rounded flavor that reflects the diversity of crops grown in the harvest area. Perfect for use in any course of a meal, we are especially fond of making a sweet and spicy glaze with Peek's Pantry Sriracha from Little Uncle in Seattle for our Traeger Grills smoky Mary's Chicken wings - a fabulous playoff football snack. Retail jars and chef pails are now available - contact your friendly Nicky sales rep to order.